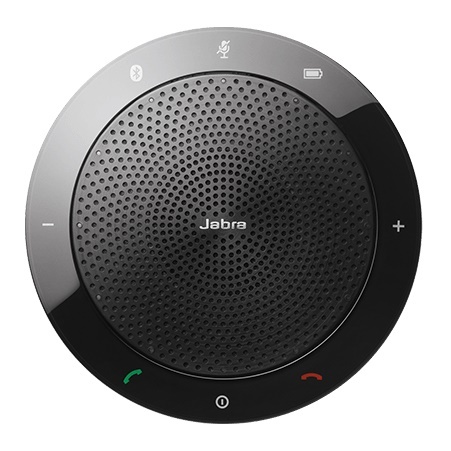 Turn any conversation into a productive conference call in seconds with the Jabra Speak 510. 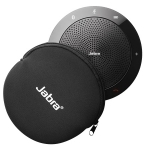 An intuitive speakerphone that connects via USB with crystal clear sound. All the conference call capabilities without the complexity. • Hear and be heard with a 360 degree microphone that picks up sounds from any angle. 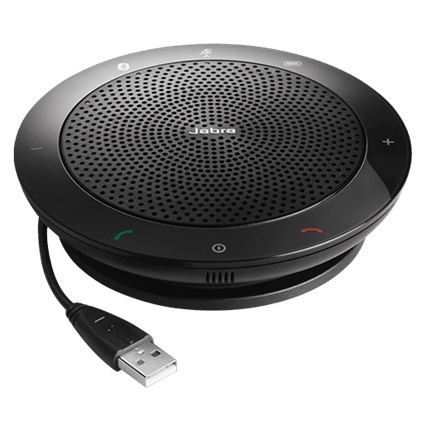 • Directly connect any 3.5 mm headset for private calls. • Get up to 15 hours of talk-time on a single charge. Top the battery up by plugging in via USB.